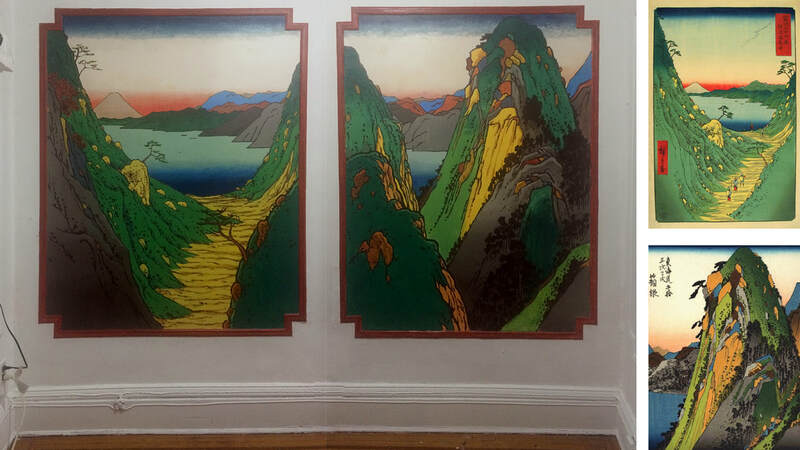 Mural inspired by two prints by Hiroshige, using decorative mouldings on the wall as a frame. Acrylic on wall, 65"x53" each. 2017, Brooklyn, NY. 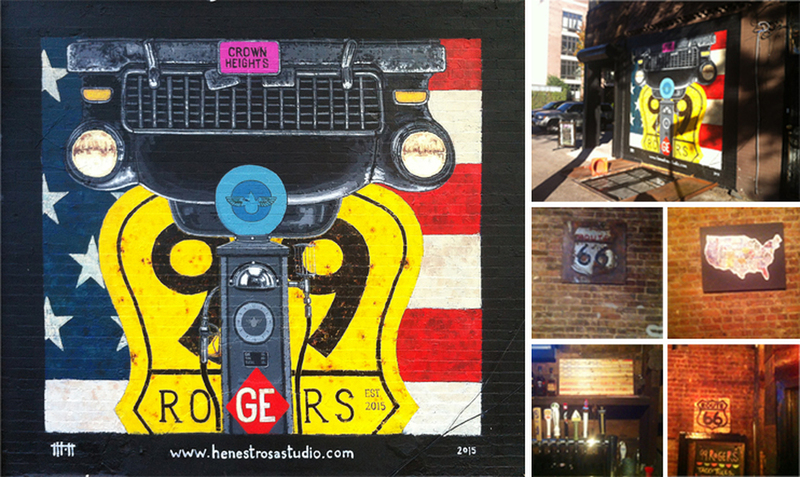 Mural for the façade of 99 Rogers Bar (Brooklyn, NY), 2015. Acrylic on Wall. 127"x144". Trompe-l'oeuil, 2011. 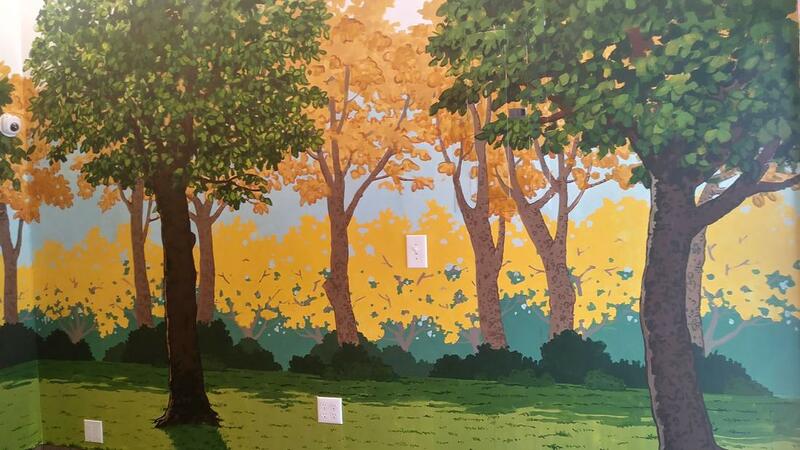 Interior Mural for Kitchen (Madrid, Spain). Acrylic on wall. 47" x 63"